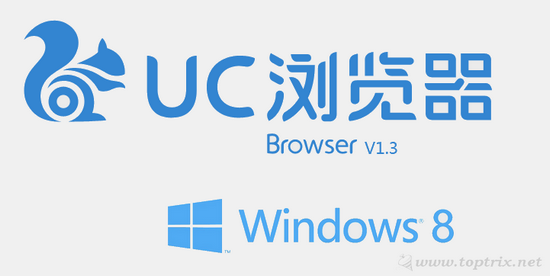 UC browser is one of the famous browsers available for mobile devices and it is now available for Windows 8 platform. It is optimized for touch screen interfaces and have all those features that were available in the mobile platform and also offer everything that is expected from a full featured desktop browsers. 'Home' tab has the native speed dial thumbnails and you can customize it to your won favorite bookmarks and add as many as you want. There are many pre installed bookmarks categorized into News, Lifestyle, Sports, Music, Videos and other. The interface is more resembles with the modern Internet Explorer application. The UC browser HD works in full screen Metro application and the navigation buttons, URL bar and other tools are moved to the bottom. You can open multiple websites and open in the new tab just like other desktop browsers and there is no any way to hide the tabs. The interface is minimal and have only important buttons visible to offer you more screen area. 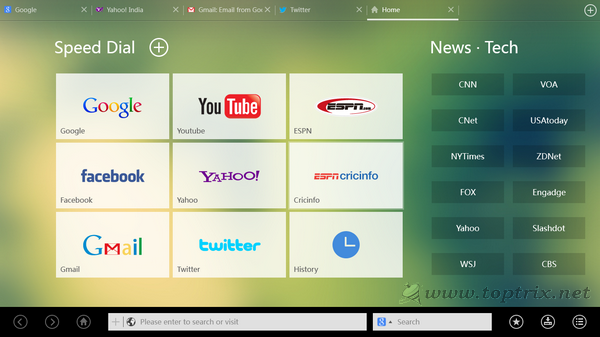 UC Browser HD for Windows 8 has a separate search bar and the default search engine is Google but you can change it to anything you want. Other three buttons are bookmarks, downloads and settings. The bookmark button offers a one touch bookmark saving and the download button offer the easy monitoring of the current as well as completed downloads. The settings have most of the important customization options. The UC browser has one click history cleaning feature. You just click on the 'Clear Records' button and everything like browsing history, form fill data will be removed. There is also a private browsing feature and new tabs can be opened in 'Incognito' mode. It also offers you to sync the bookmarks on cloud servers. You need a UC browser account to do that and you can enable the bookmark sync in settings. Though the interface is minimal and offers much screen area for the web page, but still then UC browser HD offer you to hide the toolbar at bottom If you turn off the 'Lock toolbar' option, the toolbar will only be displayed on mouse hover. 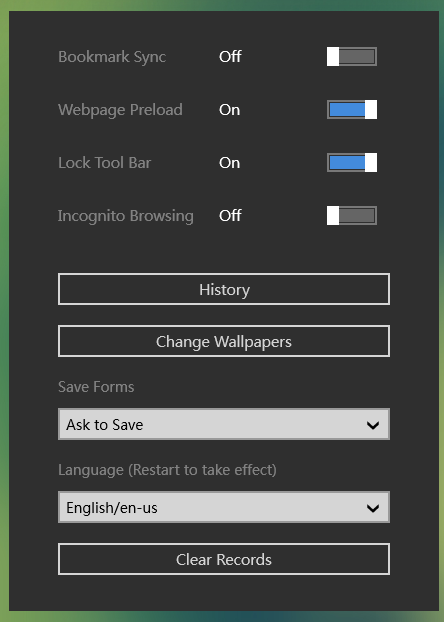 You can change the background wallpaper to your any favorite image.